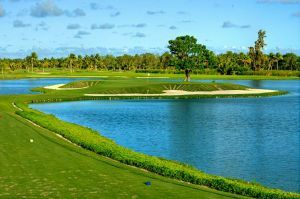 Punta Cana Golf is the most recent project developed by Punta Cana Resort and built by the well-known architect Pete B. Dye with 7 holes along the magnificent white sandy beaches that characterize the region. 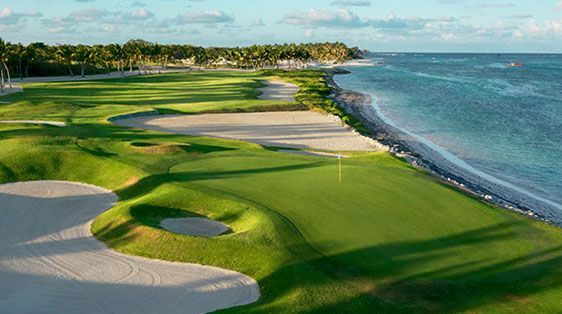 This fabulous resort is partly owned by designer Oscar De La Renta and singer Julio Iglesias. 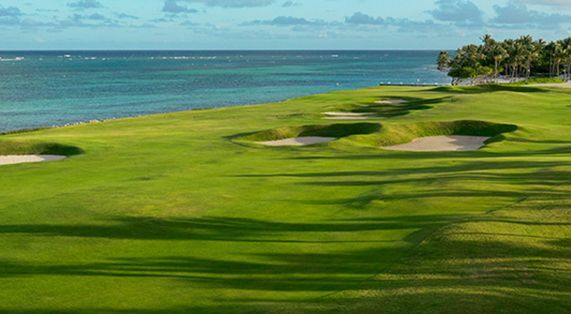 P. B. Dye designed this spectacular seaside golf course. 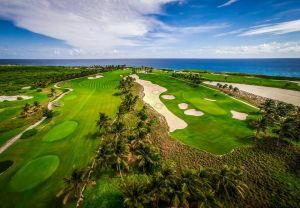 14 holes feature breathtaking views of the Caribbean Sea, and 4 holes play along the ocean itself. 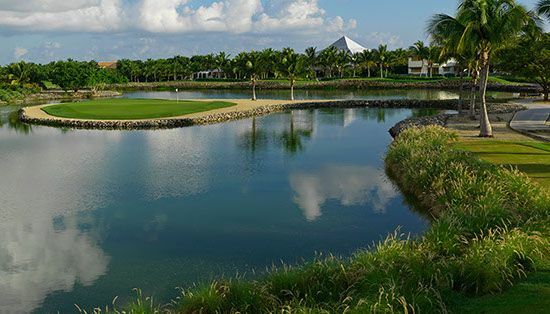 P. B. Dye has designed each hole to present its own unique challenge: sometimes infuriating but always memorable. 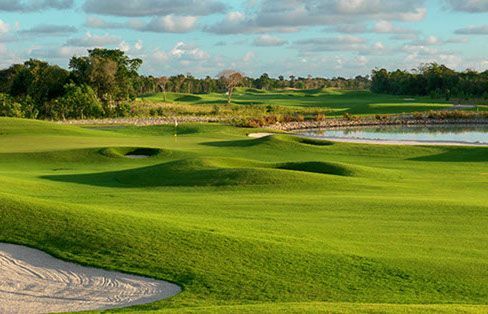 Golf Magazine is particularly fond of P. B. Dye. 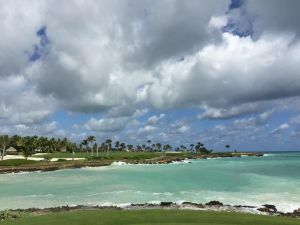 Drive from the airport left in the direction of Punta Cana Resort. After 7 km turn left. 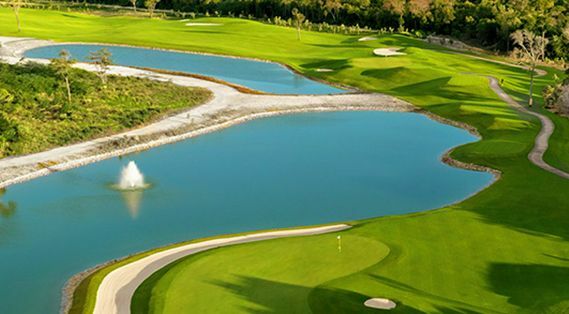 Driving time: The airport is part of the resort. 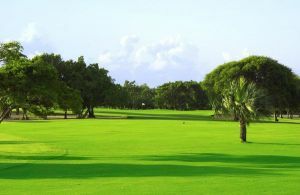 Punta Cana Golf Club is not yet in our pool of Golf Courses for orders.